As the visual component of games becomes more and more high-quality, realistic and authentic, games’ believability depends on whether their sound matches that. It is, after all, authentic sound that can make or break a gamer's ability to be immersed in a game's physical environment and forget that a game's characters are created in a design studio, rather than filmed. 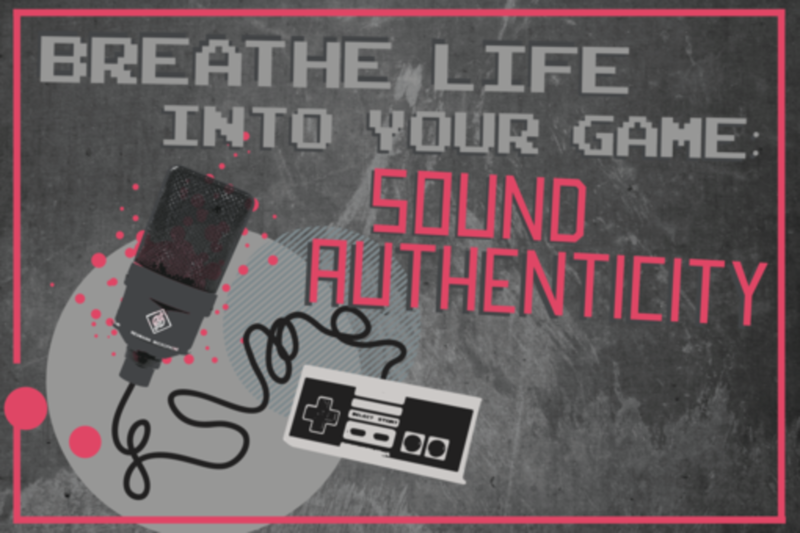 With game developers constantly striving for top movie quality and authenticity in their games, this group of top sound and voice experts aim to offer advice and insight that will help developers achieve that in sound, from their characters’ voices to their game's environment. With over a decade of experience in the advertising, casting and film industry, Carrie has cast for both voiceovers and on-camera commercials for thousands of products, as well as for webisodes, animated pilots, narrations, promos and the award winning short film, "They Say." Most notably, she's cast for "World of Warcraft: Cataclysm" and "The Division." As New York's premier voiceover casting director for foreign languages and accents, Carrie meets and casts many people with diverse backgrounds and has traveled the world to find "the perfect voice" for characters for games and commercials. She has cast for projects that have called for languages that include Arabic, Austrian, Swiss French, Swiss German, Italian, Danish, Australian, Swedish, Russian, Brazilian Portuguese, Portuguese and Spanish, plus more. She's been featured in industry publications such as Fast Company, MediaPost and Advertising Week, and speaks frequently at industry events about voiceover casting. Ed Lewis got his start as an actor at the University of Michigan, where he received his BFA in Theatre Performance. After years of Casting for film and TV ("Chappelle's Show," "The Wire," "24" and more), Ed transitioned into the voiceover realm. A lifelong gamer, Ed directs video games and has worked with some of the biggest names in the industry, including Ubisoft, EA and Bioware. Most recently, Ed directed the award-winning "Far Cry 4" and recently completed the long-awaited "Rainbow Six: Siege." He was also the casting director and voiceover director for "The Wonder Pets," "Team Umizoomi" and "Small Potatoes" for Nickelodeon and "Third and Bird" for Disney. Additionally, Ed worked on Disney PIXAR films including "Up!" and "The Princess and The Frog." Ed has also directed well over 100 audiobooks and uses his training as an actor and Casting Director to communicate the production needs to actors succinctly and in an enjoyable way. Audio engineer in many forms for 20 years. Recording ADR, voice for music, games and animation has been my specialty now going on 8 years. I love making any project shine through the use of voice. I've been privileged to work on many diverse forms of voice recording, and each one helps drive techniques helpful to the other. Thinking outside the box and taking the time and effort to understand the content is paramount to my method to getting the most out of the mic, room and talent. Game clients include 2K Games, Blizzard and Ubisoft.